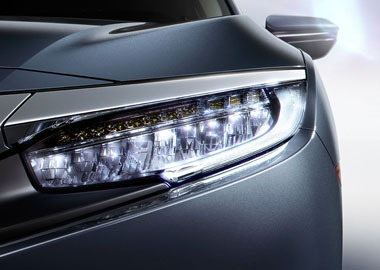 Civic Si Sedan features all-LED headlights that are perfect for lighting up the road and your life. The Civic Si Sedan earned an extraordinary 38 mpg highway rating, due to its lightweight body frame, direct-injection technology, and the incredibly efficient continuously variable transmission (CVT). 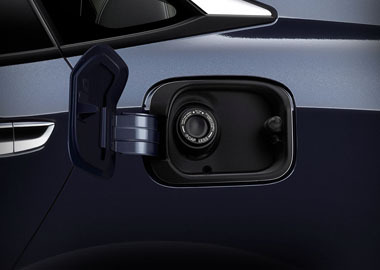 Also with a capless gas tank, you'll never worry about forgetting to shut your gas cap. An aggressive sport bumper, the legendary red Si badge framed by a menacing gloss black grille and that snarling lip make the Civic Si hard to miss. Confidence-inspiring, these bolstered front seats with red Si embroidery can help keep you secure on those winding mountain roads – and you’ll look good doing it.